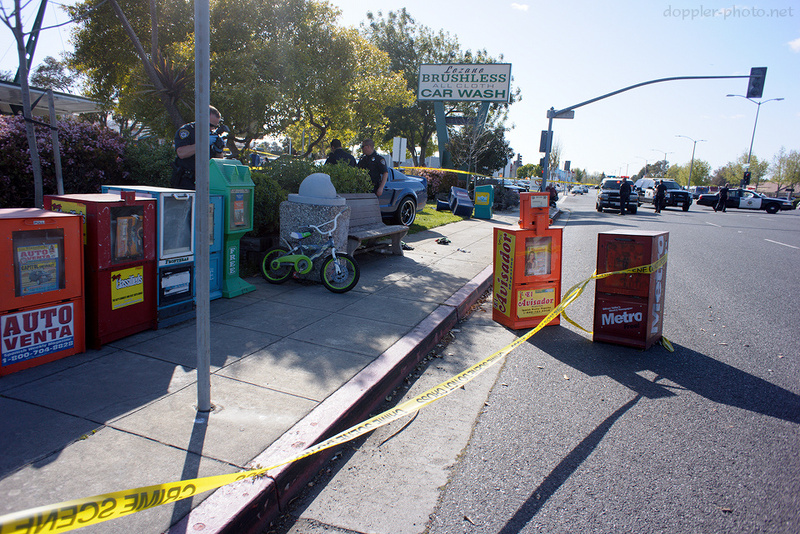 Police investigate the scene of an incident where a boy riding his bike on the sidewalk was struck by a car that jumped the curb and subsequently crashed into a tree near Grape Avenue and El Camino Real in Sunnyvale. Officers at the scene said that the boy was injured but still alive when he was taken to the hospital. An officer estimated the incident to have occurred around 4:30 this afternoon.